Recently, Intex launched another smartphone ,Intex Aqua I-4 along with Cloud Y5 . 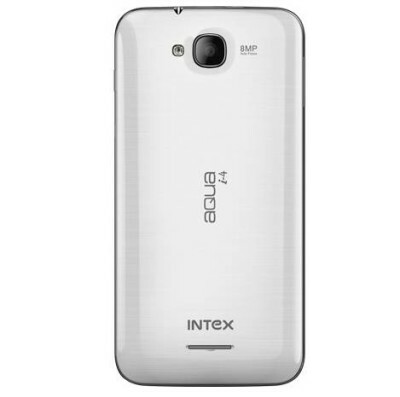 In this post we will tell you about Intex I-4. We will cover Cloud Y5 in our next post . The Aqua I-4 gain its power from 1.2 GHz dual core processor and runs on Android 4.2(Jelly Bean)OS . The device has 5-inch capacitive touch screen display. It is a dual SIM( Normal SIM+micro SIM ) phone having dual standby. The backside of handset have 8MP Auto focus rear camera with lED flash and 1.3MP front facing camera. It will compete with recently launched Micromax Canvas Fun A76 , Intex cloud Y2 , Cloud X4 and Xolo A500s . If you are camera lover, then go for Aqua I4 as specs are also better than A76 . But you have to pay bit more for the I-4 than Micromax A76 . Intex I4 comes 2G, 3G, Bluetooth with A2DP, Wi-Fi802.11b/g/n, GPS, 3.5mm audio jack, FM Radio and micro USB connectivity . Android 4.2( Jelly Bean) OS . 5-inch capacitive touch screen display . Dual SIM( Normal SIM + micro SIM) with Dual Standby . 8MP Auto Focus rear camera with LED flash and 1.3mm front – facing camera . 2G, 3G, Bluetooth with A2DP, Wi-Fi 802.11b/g/n ,GPS, 3.5mm audio jack, FM Radio . 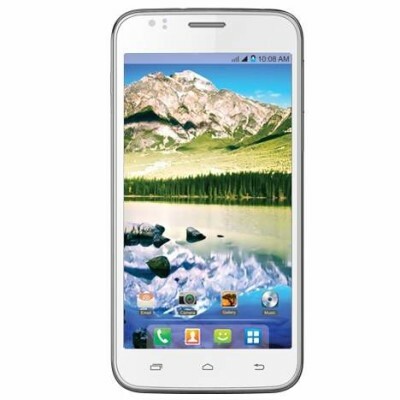 The price of Intex Aqua I-4 is Rs.9490.